Washington, United States | AFP | Sunday 6/5/2017 – The global economy is set to post solid growth this year, amid improving world trade and better performance by large emerging markets, but key risks could still threaten the outlook, the World Bank said Sunday. Rising trade protectionism and policy uncertainty, primarily in the United States under President Donald Trump, pose important cautions for the outlook. For the first time in four years, the latest edition of the World Bank’s Global Economic Prospects has not downgraded the growth forecast even as new problems have emerged. The report said that “despite substantial policy uncertainty,” the global economy still is expected to grow by 2.7 percent for 2017, rising to 2.9 percent in 2018 and 2019. The seven largest emerging market economies – China, Brazil, Mexico, India, Indonesia, Turkey and Russia – remain the key engine for the world economy. As a group, emerging market and developing economies are expected to grow 4.1 percent this year, led by India, which is expected to expand by 7.1 percent, and China, at 6.5 percent. Meanwhile, Russia and Brazil are expected to return to growth after contracting for the past two years. Advanced economies are continuing to grow but at a more modest pace with the United States expected to expand by 2.1 percent this year, the euro area by 1.7 percent and Japan by just 1.5 percent. 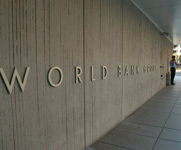 However, “substantial risks cloud this outlook,” the World Bank cautioned. Although the report does not mention Trump by name, it notes that proposed tax cuts and infrastructure spending could boost the US economy but were not factored into the forecast since they remain undefined. In addition, restrictive US immigration policies could reduce growth. Just the suggestion by the Trump administration of “major shifts” in these areas can have an impact. The UK exit from the European Union also poses risks to the outlook especially given the unknown outcome. “A further increase in policy uncertainty from already high levels could dampen confidence and investment and trigger financial market stress,” the World Bank said.